Google's Chrome OS is one of the world's most misunderstood computing platforms. Chromebooks are foundationally different from traditional PCs, after all — and consequently, there are a lot of misconceptions about how they work and what they can and can't do. Since people are always asking me whether a Chromebook might be right for their needs, I thought I'd put together a quick guide to help any such wonderers figure it out. Whether it's you or someone you know who's curious, the following three questions should help shed some light on what the platform's all about and for whom it makes sense. Think carefully here, as the answer might surprise you: What do you do most often on a computer? 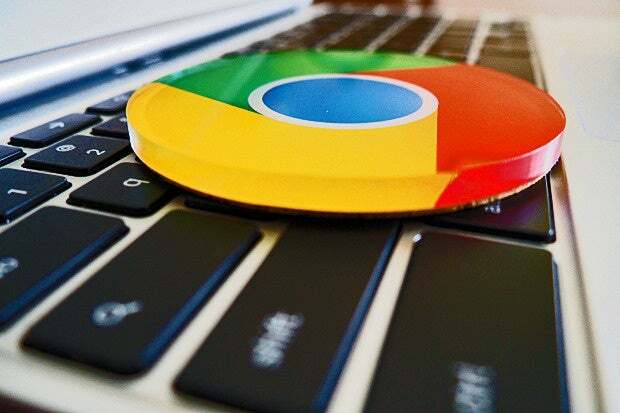 If the majority of your time is spent in a web browser — whether it's reading news stories, surfing social media, or using web-centric productivity services like Gmail and Google Docs — then Chrome OS would probably meet your needs just fine. In fact, there's a good chance it'd actually make things easier than what you're used to with a traditional PC setup (more on why in a minute). And that's just looking at web apps. These days, you can add into that mix the sizable selection of Android and Linux apps that also run on Chrome OS devices and are designed to work equally well online or off. We'll talk more about those next. All in all, the truth is that for most people, using a Chromebook offline isn't terribly different from using a traditional PC offline. You aren't gonna be able to pull up a live version of a web page or download new messages, obviously, but aside from things that inherently require an active connection, there isn't a heck of a lot you'd want to do that wouldn't be available. Take a moment to think about what programs you use that are locally installed on your PC — things like word processors, email apps, image and video editing software, resource-intensive games, or specialty software related to your work. Now think about how many of those programs could be replaced with web-centric equivalents — and for any that absolutely couldn't, think about whether an Android app or Linux app could reasonably fill in the gap and serve as a suitable alternative. If you use Outlook for email, for instance, would you be okay with using Outlook.com or Gmail instead — or with using either the Outlook Android app or a local Linux program like Evolution? If you rely on Microsoft Word on your PC, would Office Online or Google Docs do the trick just as well — or could you get by with either the Word Android app (which requires an active subscription for full editing functionality on a laptop-sized device) or something along the lines of the Linux-based LibreOffice? If you use Adobe Photoshop for image editing, would a web-centric suite like Pixlr be powerful enough for your needs — or would a standalone editor like Linux's GIMP program get the job done? If the answers are "yes" or even "maybe," then Chrome OS could quite conceivably work for you. If, however, you have specific local software that you absolutely need and that has no suitable web, Android, or Linux equivalent, moving into a Chromebook might be a stretch. While the OS has plenty of viable options for common everyday computing tasks, you aren't gonna find any robust multimedia editors designed for the web, nor will you find web-centric versions of many specialty business programs that were created with Windows in mind. The availability of Android and Linux apps can address some of those voids — and the significance of the platform even offering such options can't be overstated — but those additions won't cover every specific local software requirement (especially when it comes to custom corporate programs). There's one more asterisk worth considering: Google offers a simple tool called Chrome Remote Desktop that lets you tap into a traditional desktop computer from a Chromebook and then work on it remotely. With that tool, you can effectively use local Windows or Mac software via the Chromebook, provided you have a computer that's on and available for the remote session. It's not entirely ideal as a long-term solution for frequent software use, but depending on your situation and how often you need the traditional desktop program in question, it might be enough to bridge the gap. This is the real test. And let's be clear: In order for this to work, you'll probably have to make some adjustments to your routine — switching to web-centric apps like Docs for word processing if you haven't already, uploading any pertinent files to an online storage service like Dropbox or Drive, and so forth. Spend a few minutes browsing through the Chrome Web Store to find the tools you need, then give it an honest go. What about Android and Linux apps? Well, those are a bit trickier to emulate in a traditional PC environment. If you really want to get ambitious, you could install Bluestacks — a free PC- and Mac-compatible program that lets you run Android apps within a more traditional desktop operating system. It isn't perfect and is far less native-feeling than what you'll get with Chrome OS — it basically just puts an emulated Android tablet into a window on your screen and then lets you install and open apps inside that environment — but for these test-run purposes, it should be good enough to give you a basic idea of what sorts of things you will and won't be able to do. Getting Linux apps up and running on a Windows or Mac system is more complicated yet and probably not worth your while, so I'd suggest instead just looking through my list of the best productivity-oriented Linux apps for Chrome OS and considering which (if any) of the items there might be relevant for your purposes. Many of those programs — including my word processor and image editing recommendations — are available for Mac and Windows, too, so you can install them directly onto your system to check them out and see what they're like to use. If you can ignore your traditional desktop programs for a week and get everything you need accomplished in your browser without much trouble — with Android or Linux apps fleshing things out as needed — then good news: Chrome OS will definitely work for you. If it's a struggle, you may want to think twice about going the Chromebook route. Now, keep in mind this is merely a simulation — a test of the basic tools and limitations of the Chrome OS environment. But while the overall function in the simulation may be similar to what you'll find on a Chromebook, using only (or mostly) a browser on a PC is not the same experience you'll get on an actual Chromebook. That's another one of those pesky Chrome OS myths. Startup speed aside, the Chrome OS systems make a lot of things about traditional computing environments feel outdated: the cumbersome setup and installation procedures; the annoying and time-consuming OS upgrades; the need to manually update applications over time; the need to use antivirus software (and the accompanying likelihood and potential consequences of infection); the reliance on complicated drivers; and the inevitable bogged-down, slowed-down effect that always seems to happen to PCs after you've had 'em for a few months. Plain and simple, for folks sold on the cloud-centric concept, Chrome OS can take much of the hassle out of computing — because as a result of the platform's very nature, you don't have to deal with the types of annoyances mentioned above. By utilizing Google's universal syncing system, the OS also allows any Chromebook to look and act like your own personal machine within moments of your signing in. All of your data, settings, extensions, and applications are instantly and continuously synced across all systems, so you're never tied down to any one device. Even with the addition of Android and Linux apps, those core tenets remain true (with the exception of the fact that Linux apps and their associated data don't currently sync and transfer between devices — but even that is about to change). With all of those advantages, a Chromebook can be a refreshing alternative to the traditional PC environment — if it makes sense for your needs. And it certainly won't make sense for everyone. Answer the three questions above, and you'll know if it does for you.